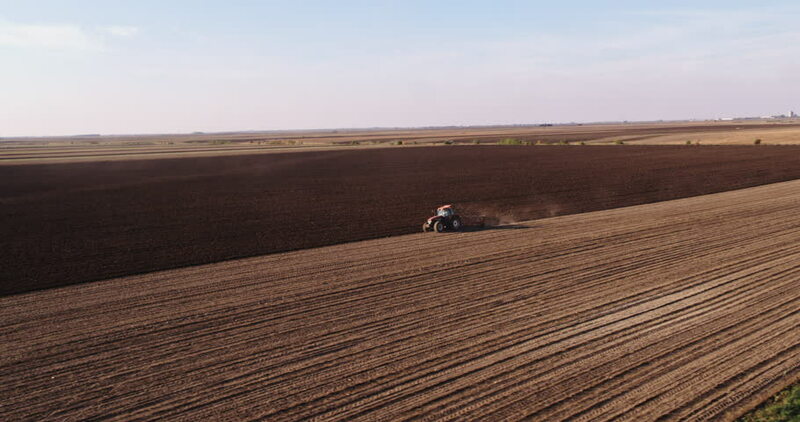 4k00:17Aerial drone shot of a farmer in tractor seeding, sowing agricultural crops at field. 4k00:19Russia, Krasnodar region, 02 July 2018. Combine harvester harvest wheat on the field. Loading in a truck. Aerial view.